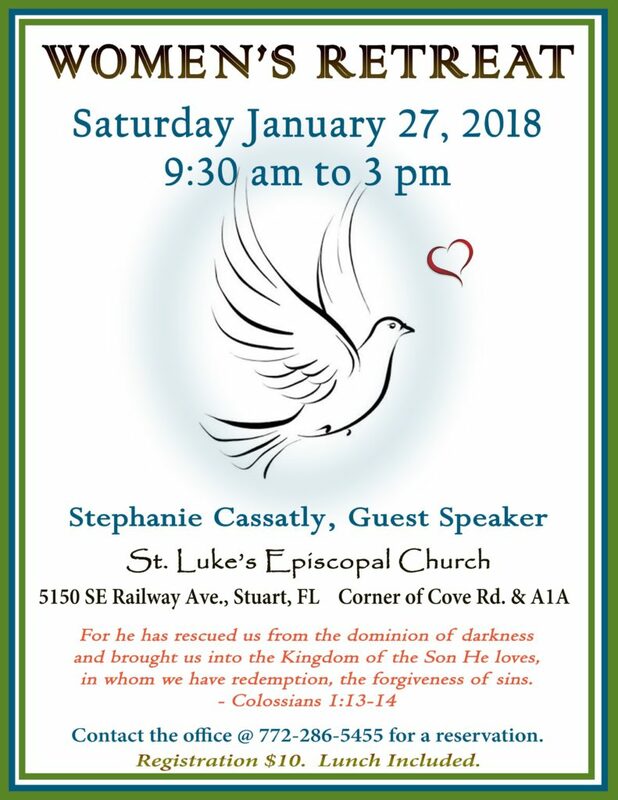 Women’s Retreat will be from 9:30 a.m. to 3 p.m., Saturday, Jan. 27 at St. Luke’s Episcopal Church, Cove Road and State Road A1A, 5150 S.E. Railway Avenue, Port Salerno. Guest speaker will be Stephanie Cassatly. The retreat is open to all women, regardless of religious affiliation.